It’s NFL Super Bowl Weekend and of course Saturday morning. 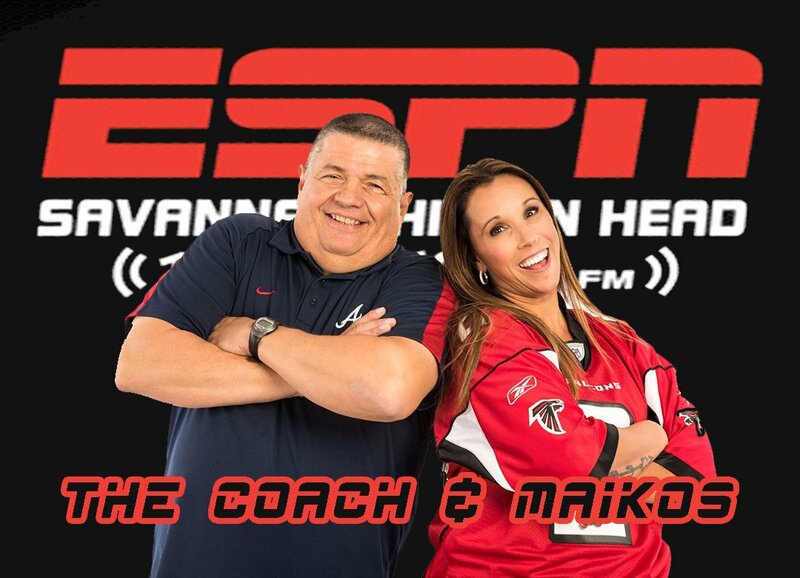 So, that means the Coach & Maikos are at it again LIVE in the ESPN Savannah 104.3 & AM 1400 Savannah Mall Savannah, Georgia Studio kicking around topics about Local and National sports. To listen to the show tune in to ESPN Radio Savannah AM 1400, 104.3 FM, and at 92.7 FM on Hilton Head Island, South Carolina from 9 am until 11 am. The Coach & Maikos will be discussing national and local sports as they do each week to start the day. In addition, as do every show, the Wetherington Chiropractic Clinic – Savannah – Athlete of the Week will be live in studio. So, tune in on the radio at ESPN Savannah 104.3 & AM 1400. Furthermore, on the worldwide web because the show is streamed on your computer at http://espncoastal.com/ and on or your smart phone with the ESPN mobile app at the Savannah/Hilton Head station. Thus, download this smartphone app right now and start listening to the “Coach & Maikos” anywhere you are.